So the above pun was intended (sorry about that). This morning I was on the Doug Stephan Show and had a wonderful time talking about music and law! If you missed the broadcast this morning, you can hear the highlight on the Doug Stephan Show Audio Highlights righthand bar. You’ll find out why I only use my first name when I perform, how Jacob Potter came to sing with me on the EP, and what my amazing whiz-kid brother Erik does! 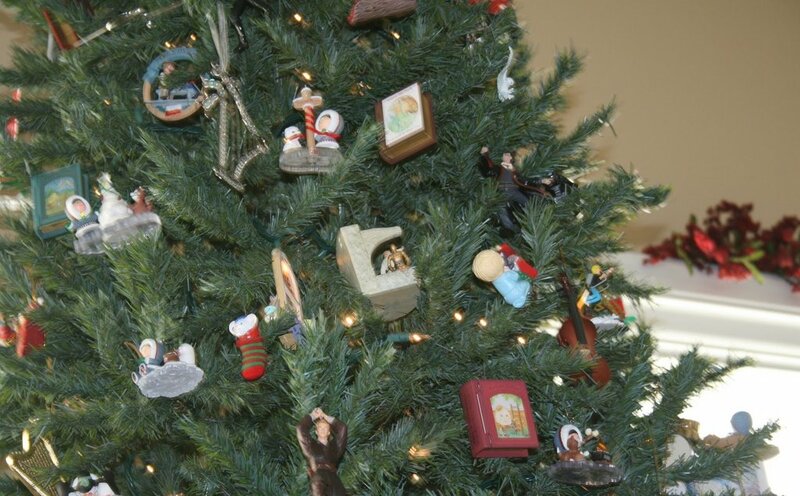 A few years ago I did a blog series on family Christmas traditions. I decided to revive that series and blog about the family traditions again–with a few added anecdotes. I may not rap (okay, I did ONCE on one of my songs but that version was never released), but I do wrap. Wrap presents, that is. Ever since I can remember, Erik and I have been best friends. Of course we had our own interests. when we were little, he would build with “real-y” tools in his “shop” and I staged plays with my stuffed animals. (As an aside, Erik did not believe in child play tools–they didn’t work like Dad’s and his brother’s tools. He was horribly disappointed when he tried his new play tool set and discovered it didn’t work with “real” screws. So from then on, he got “real-y” tools that were safe for his age.) But we also did a lot together. So much so we were often asked if we were twins. We are close in age–18 months apart. One of the things we were very good at doing together was finding the wrapped Christmas presents. Actually, the Christmas closet never changed–it was always our parents’ bedroom every year without fail. 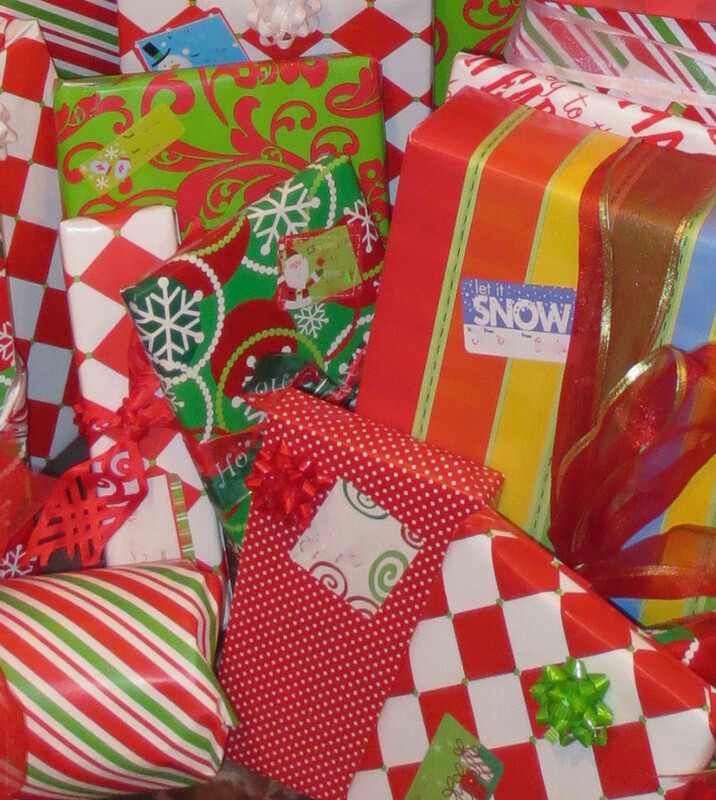 After the year we “accidentally” saw the presents in the closet (I think we were five and six) and Mom explained that it was important that we let the giver give us the surprise on Christmas, we devised a new way to get a glimpse of the presents. The next year we decided to “help” wrap the presents–except our own, of course. Mom thought this was a great way for us to participate in Christmas. Needless to say, we did a lot of quick looking and then we were tired of “wrapping.” Mom caught on quickly. But from that came the tradition of wrapping presents in a group and watching “White Christmas.” I’m not sure why “White Christmas” became the movie of choice, but it’s a tradition! We’re always done with the presents before the movie is over, and in recent years it has just been Mom and me, but it’s still a tradition that lives on! Jazzy Duets for Christmas and Radio Spot Our Christmas Ornament Tradition Tomorrow I’m on the Doug Stephan’s Good Day Radio Show! On the Doug Stephan Show!